May 2010...this is when she fell in love with WDW. You need to send this to Disney! She is SO adorable and I love how your picture captured that once in a lifetime moment in time! We were there May 2010 as well- and it was magical for my kids! <3 the picture! Aw, how sweet! Perfect timing on this shot! Beautiful! 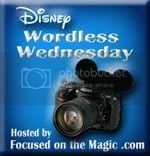 Thanks for sharing and for joining the DWW Blog Hop today! May is such a perfect month in Walt Disney World; I can see why it is such a popular first! She looks very determined. lol! Nice umbrella? parasol? 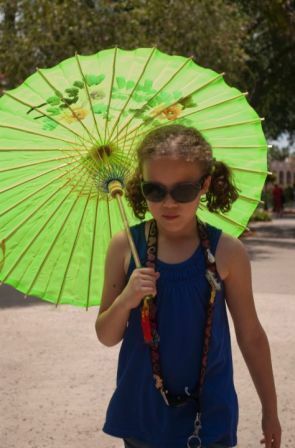 Great memory and what an adorable parasol!! Love the colour!